The 476 and 952 cubic foot capacity Despatch TAD/TFD walk-in ovens feature uniflow airflow to ensure uniform temperatures throughout the oven. This air moves horizontally and vertically through the work chamber making it the perfect solution for curing applications. Maximum temperature is 343°C (650°F). These ovens ship in just 6 weeks. The LAC benchtop oven features horizontal recirculating airflow and exceptional temperature uniformity. The result is proven reliability in demanding production and laboratory applications, such as curing, drying, sterilizing, aging, and other process-critical procedures. Despatch PC Series Conveyor Ovens are designed for process versatility and reliability. They achieve superior temperature uniformity in all interior parts due to high-volume, vertical down airflow. The continuous belt design is ideal for large quantities of similar work pieces being processed. 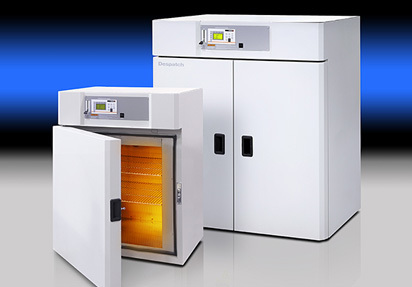 The PCO2-14™ Polyimide Cure solution is a clean process oven designed for electronics market applications that require low oxygen: polyimide and epoxy curing, baking and sterilizing. 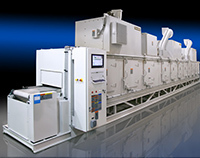 The PCO2-14™ optimizes the polyimide curing process for semiconductor wafer devices. 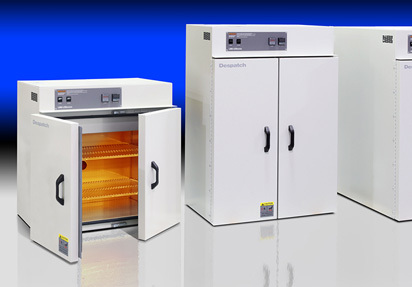 The RA/RF cabinet oven features horizontal recirculating airflow and exceptional temperature uniformity. The result is proven reliability in demanding production and laboratory applications, such as curing, drying, sterilizing, aging, ASTM testing, UL testing and other process-critical applications. 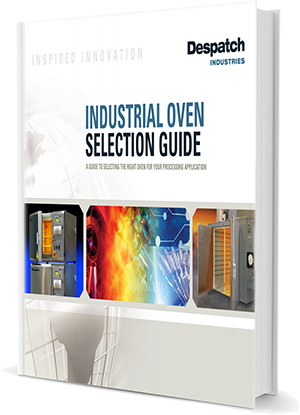 The TA and TF Walk-In Ovens and Truck-In Ovens are designed for industrial process versatility and dependability. Typical applications include aging, bonding, curing, drying, baking, heat treating, annealing and stress-relieving. 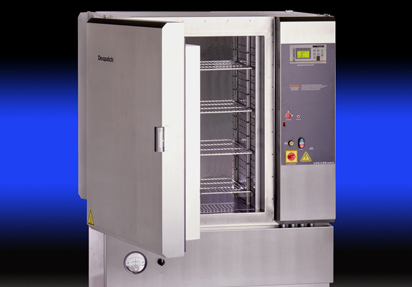 Despatch offers a selection of benchtop, cabinet, walk-in and conveyor ovens that are ideal for curing applications. 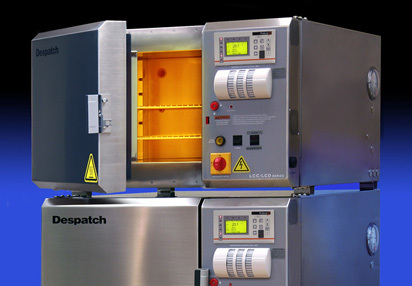 Despatch curing ovens offer fast ramping and cool down rates for maximum productivity, short cycle times and consistent, reproducible curing processes for all product loads. Curing ovens are used for a variety of applications involving coatings, adhesives, rubber and thermoset plastics and composites. 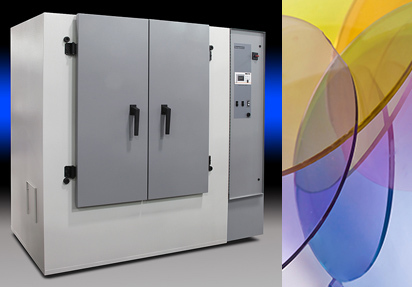 The electronics and semiconductor industries use Despatch clean process ovens for epoxy curing and polyimide curing. 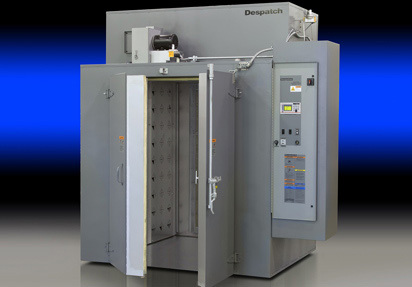 Despatch specializes in polyimide curing ovens that are designed to meet the unique process requirements for hard baking polyimide coatings in an inert atmosphere. 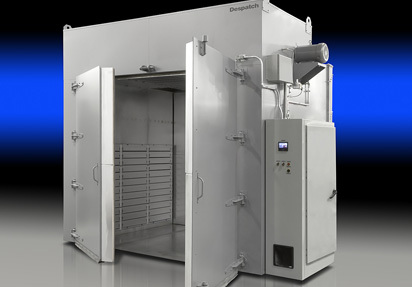 Despatch curing ovens are designed to provide tight temperature tolerance and precise control for repeatable results and uniform airflow that ensure proper curing across an entire load. The ovens are exhausted to effectively remove the VOCs given off during curing, ensuring a safe environment. Best-in-class energy efficiency is achieved with superior insulation and cabinet design as well as recirculating airflow management. 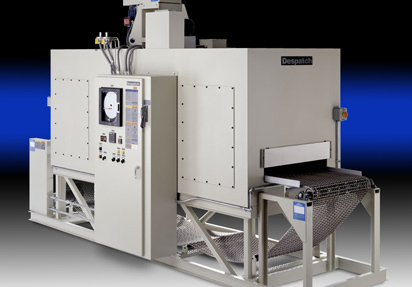 Despatch offers gas or electric batch ovens for curing small to very large loads and conveyor ovens with multiple zones for continuous processing. If your process requires a custom solution, we can work with you to create a configuration that suits your specific needs. 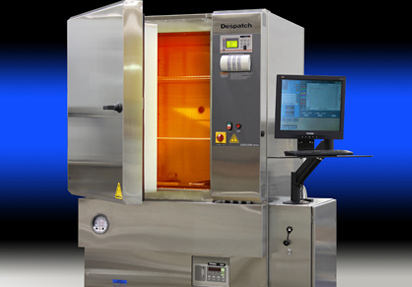 Despatch offers a wide range of standard and custom ovens for composite curing. The ovens provide uniflow airflow which delivers heated air from both sides of the chamber for uniform operating temperatures. Typical applications include curing filament-wound composites used in products such as light weight pressure vessels, and curing the composite components of wind turbine blades. Despatch is an established supplier of vacuum bag composite curing systems with numerous systems installed at many of the major aerospace manufacturers.